If you want to input your leads manually, you first need to create an empty list. Go to Manage => Lists => Add a new list , click on "Empty list" and type in a name for your list and hit "Next". If you have data coming in from other online systems, check out ourguide on integrations for inspiration. 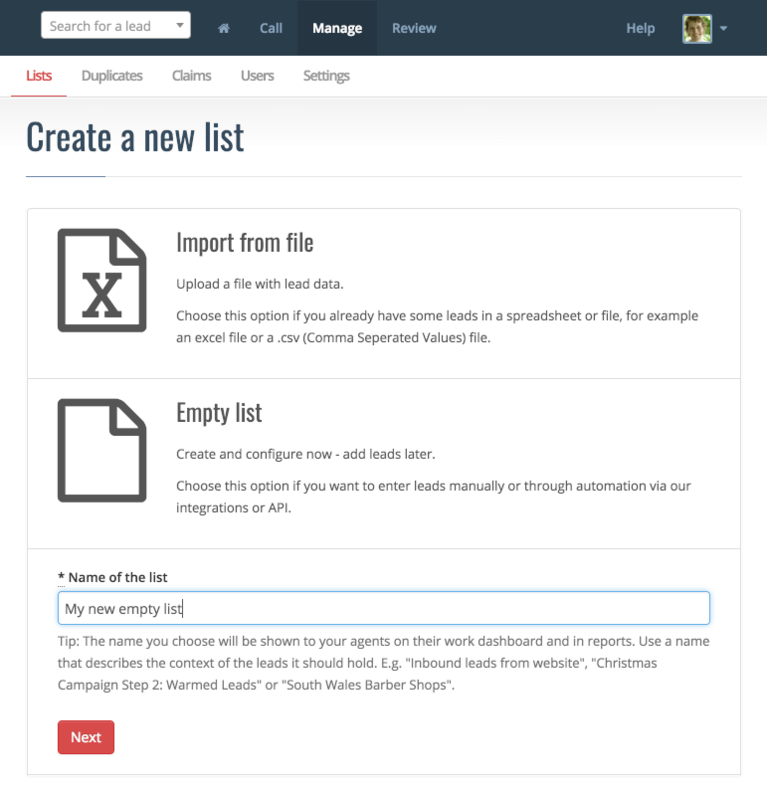 Create a completely empty list and configure it to upload leads manually.